The Damodar Kunda (lake) is famous for Hindi religion. 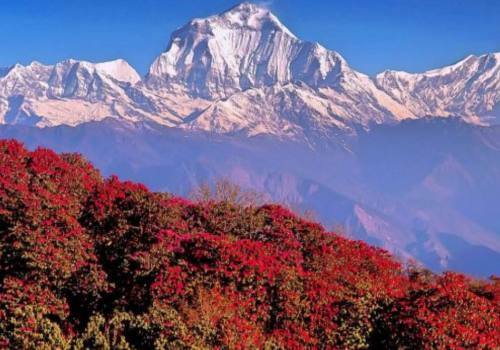 Damodar Kunda is situated rain shadow are of High Himalayas north of Annapurna range. The elevation of the Damodar Kunda is just 4890 meters; Damodar Kunda is cold and windy place. We will recommend you to visit during the full moon of August because a big festival occurs every year where thousands of Hindu and Buddhist pilgrimages visit. Usually, you may visit April to September every year. Festival time will be great for the visit to Damodar Kunda. 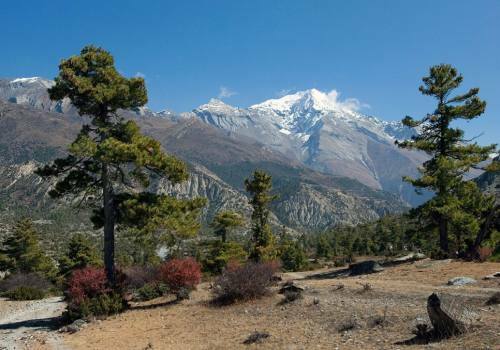 The Tibetan plateau & Damodar Himal to the north and the Annapurna Himalayan massive to the south can be seen clearly. The Damodar lakes are located three Day walk from north east of the main Mustang trekking route & very close to Tibetan border. Damodar Kunda lies on restricted upper mustang between Kagbeni and Muktinath. The Damodar Kunda (lake) is famous for Hindi religion. Damodar Kunda is situated rain shadow are of High Himalayas north of Annapurna range. Day 01:Upon arrival at Kathmandu International airport and pick up by Green Valley Nepal Treks representative, transfers to hotel. Day 02:Stay in Kathmandu for official procedure & sightseeing, overnight at hotel. Day 03:Depart to Pokhara, overnight at hotel. Day 04:Fly from Pokhara to Jomsom and start trek to Kagbeni, 20minutes flight and 3hours walking approximately, overnight at tented camp. Day 05:Trek to Chele (via Tangbe/ Chuksang), 6hrs walking approximately, overnight at tented camp. Day 06:Trek to Syambochen (via Samar), 7hrs walking approximately, overnight at tented camp. Day 07:Trek to Tsarang (via Geling, Ghami), 8hrs walking approximately, overnight at tented camp. Day 08:Trek to Lo-manthang, 4hrs walking approximately, overnight at tented camp. Day 09:Rest at Lo-manthang to explore this mountain city, overnight at tented camp. Day 10:Trek to Yatra (via Dhi, Dri), 7hrs walking approximately, overnight at tented camp. Day 11:Trek to Ghuma Thanti (4856meter) after crossing 5100meter pass; today lunch pack due to no appropriate cooking possibilities; 7hrs walking approximately, overnight at tented camp. Day 12:Trek to Damodar Kunda after crossing another 5600meter pass, (we need to make lunch pack due to no appropriate cooking possibilities in the trail); 10hrs walking approximately, overnight at tented camp. Day 13:Rest day in Damodar Kunda, overnight at tented camp. 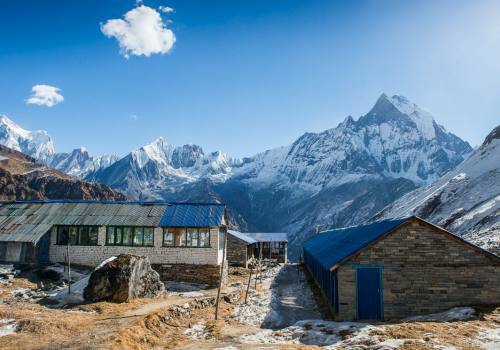 Day 14:Trek to Ghuma Thanti (via Pass 5600m) (Lunch at Bas Khola), 8hrs walking approximately, overnight at tented camp. Day 15:Trek to Yara, 7/8 hrs walking approximately, overnight at tented camp. Day 16:Trek to Tange (we need to make lunch pack due to no appropriate cooking possibilities in the trail), 6hrs walking approximately, overnight at tented camp. Day 17:Trek to Tetang (via Paha), 9/10hrs walking approximately, (lunch at Paha after walking 4hrs), overnight at tented camp. Day 18:Trek to Muktinath, 6hrs walking approximately, overnight at tented camp. Day 19:Trek to Jomsom, 5hrs walking approximately, overnight at guesthouse. Day 20:Fly to Pokhara, 20minutes flight approximately, trekking ends here, overnight at hotel. Day 21:Back to Kathmandu, overnight at hotel. Day 22:Transfer to airport, departure on your own destination. 3 night accommodation in Kathmandu. Guide and Porter during trekking. Day 01Upon arrival at Kathmandu International airport and pick up by Green Valley Nepal Treks representative, transfers to hotel. Day 02Stay in Kathmandu for official procedure & sightseeing, overnight at hotel. Day 03Depart to Pokhara, overnight at hotel. Day 04Fly from Pokhara to Jomsom and start trek to Kagbeni, 20minutes flight and 3hours walking approximately, overnight at tented camp. Day 05Trek to Chele (via Tangbe/ Chuksang), 6hrs walking approximately, overnight at tented camp. Day 06Trek to Syambochen (via Samar), 7hrs walking approximately, overnight at tented camp. Day 07Trek to Tsarang (via Geling, Ghami), 8hrs walking approximately, overnight at tented camp. Day 08Trek to Lo-manthang, 4hrs walking approximately, overnight at tented camp. Day 09Rest at Lo-manthang to explore this mountain city, overnight at tented camp. Day 10Trek to Yatra (via Dhi, Dri), 7hrs walking approximately, overnight at tented camp. Day 11Trek to Ghuma Thanti (4856meter) after crossing 5100meter pass; today lunch pack due to no appropriate cooking possibilities; 7hrs walking approximately, overnight at tented camp. Day 12Trek to Damodar Kunda after crossing another 5600meter pass, (we need to make lunch pack due to no appropriate cooking possibilities in the trail); 10hrs walking approximately, overnight at tented camp. Day 13Rest day in Damodar Kunda, overnight at tented camp. 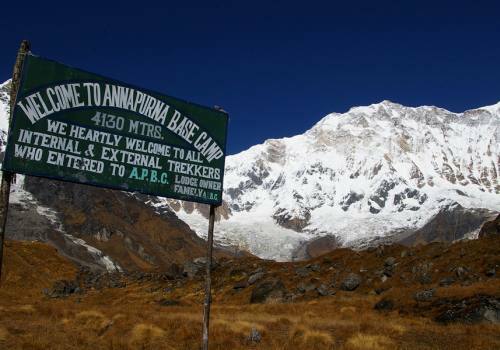 Day 14Trek to Ghuma Thanti (via Pass 5600m) (Lunch at Bas Khola), 8hrs walking approximately, overnight at tented camp. Day 15Trek to Yara, 7/8 hrs walking approximately, overnight at tented camp. Day 16Trek to Tange (we need to make lunch pack due to no appropriate cooking possibilities in the trail), 6hrs walking approximately, overnight at tented camp. Day 17Trek to Tetang (via Paha), 9/10hrs walking approximately, (lunch at Paha after walking 4hrs), overnight at tented camp. Day 18Trek to Muktinath, 6hrs walking approximately, overnight at tented camp. Day 19Trek to Jomsom, 5hrs walking approximately, overnight at guesthouse. Day 20Fly to Pokhara, 20minutes flight approximately, trekking ends here, overnight at hotel. Day 21Back to Kathmandu, overnight at hotel. Day 22Transfer to airport, departure on your own destination.